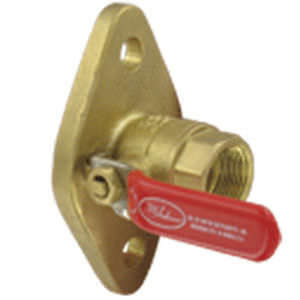 Featuring a forged brass body that gives it versatility and strength, making it suitable for any application, this durable ball valve is perfect for industrial and residential use. It is also economical. The valve is constructed using brass, and when used in conjunction with PFTE ball seats, it can tolerate upto 600 psi (41 bar) of working pressure. The unique full port construction is designed to reduce the resistance to flow, while at the same time providing durability due to the uni-body construction. A full range of sizes ensures versatility and ease of use in many applications.